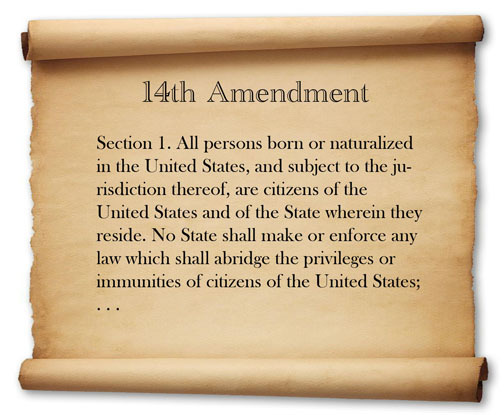 It was widely reported that presidential candidate Donald Trump has declared that the 14th Amendment to the Constitution is unconstitutional. That makes no sense to me on so many levels. He is reported to have said that it wouldn't hold up in court. This is one of those concepts that amazes me. The amendment is part of the Constitution. 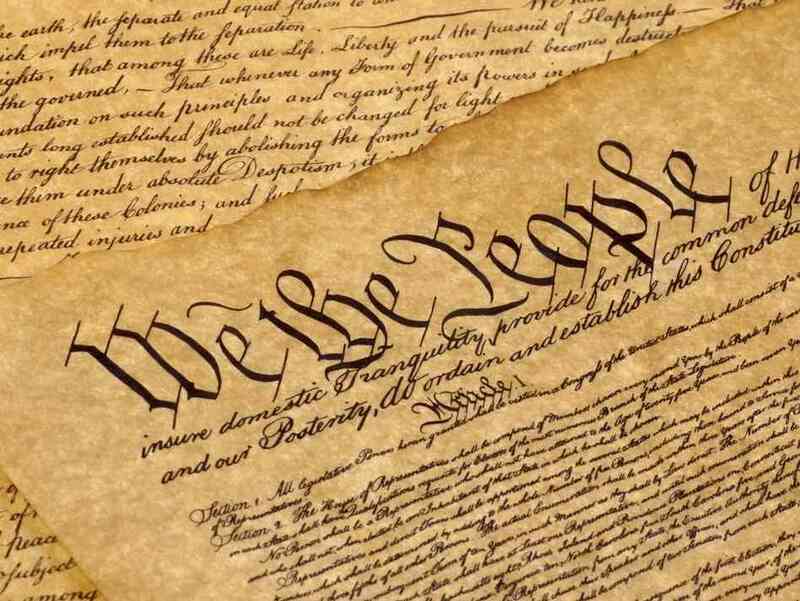 It cannot, by definition, be unconstitutional. And, because it is an amendment to the Constitution it is the basis for court decisions. Do we really need someone with that much ignorance and lack of history to be President? If the amendment is deemed flawed, it should be repealed. A similar situation existed with the 18th Amendment which was subsequently repeated by the 21st Amendment. If the people of the United States feel strongly that the 14th Amendment, which confers citizenship uno everyone born in the United States, an amendment should submitted to repeal it, but going around and saying that is it unconstitutional is just, in a word, ignorant. If we repeal the 14th Amendment, then we have truly lost our way in the world and we should consider sending the Statue of Liberty back to France. Did you see the latest poll that the U.S. is only the 21st most free country in the world? We thought we were higher. We keep falling down the list, and people are shocked! 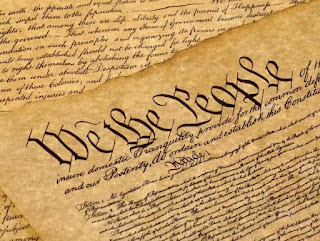 Pop quiz--which amendment to the Constitution took over 202 years to ratify?